Although most of the research in this department can be classified as basic research, many very active groups are also involved in a wide range of Applied Physics - research geared to direct applications in industry. Over the years, this effort within UBC's Department of Physics and Astronomy has spawned a number of spin-off companies such as Dynapro, MoLi Energy, Vortek, Quartz Imaging, Xillix, TIR Systems, Sonigistics, Techware systems, Corona Vacuum Coaters, and Brooks Automation. 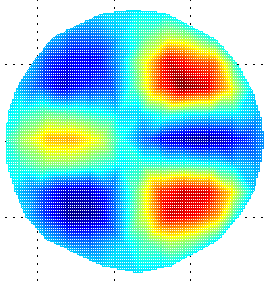 The Structured Surface Physics group centers on using novel geometrical configurations to solve applied physics problems. The primary focus is in structured surface physics -- the study of interfaces containing precision structures on a scale of 0.1 to 100 microns. The advent of sophisticated polymeric micro-replication and thin film deposition technology has had two key impacts on this field. First, it is possible to study a wide range of new structures. Second, it is practical to mass-produce such structures, which opens a new range of industrial opportunities. An example is the prism light guide, which is a structure employing precise geometrical prismatic facets on a transparent hollow pipe, to enable the guiding of light by means of total internal reflection. The primary application of that device has been the large scale guiding of light for illumination purposes. 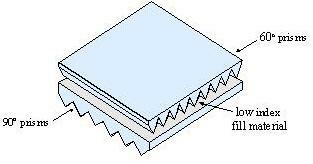 A different example is the EMEET transducer, in which a structured elastomeric surface contacts a smooth conductive plane. The resultant small air pockets can support extremely high electric fields. Such structures yield a good broad-band impedance match in useful applications, including the production of sound in fluids, and micromanipulation of large mechanical structures. Both the 3M company and TIR Systems Ltd. utilize the results of the research of Professor Whitehead's group. Layered Micro-Prismatic Geometry creates dramatic optical effects. 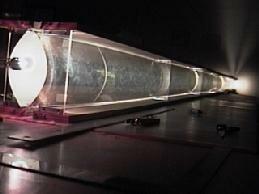 Dr. Lorne Whitehead's Light Pipes utilize microprimatic film to efficiently transport light. 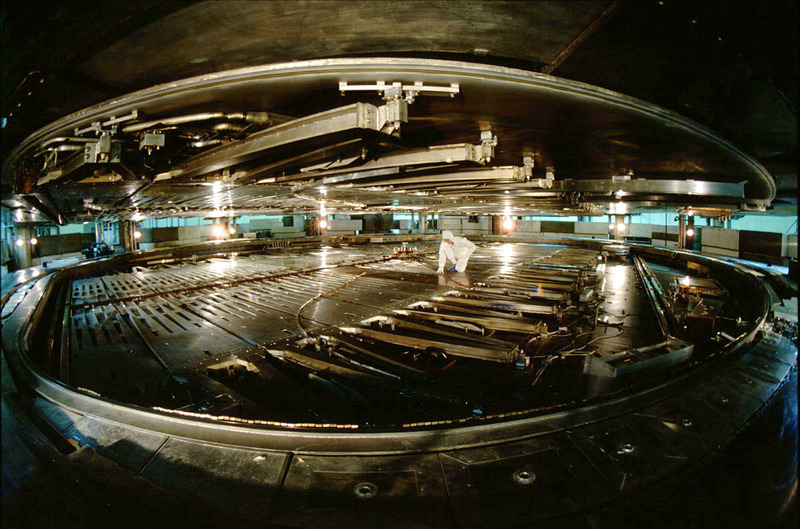 The TRIUMF cyclotron, open for maintenance. TRIUMF is Canada's main centre for accelerator and beam physics expertise. UBC graduate students (and co-op or summer undergraduate students) may participate in research projects with TRIUMF physicists, either in developing and adding to the lab's existing accelerators and particle beams, or in collaborations with other laboratories. Please see more detailed information under the Particle Nuclear Physics section of this website. The Industrial Services Office actively pursues more contacts with industry to improve applied research funding, create job opportunities for graduate students during and after their graduate work, and increases industry awareness of our capabilities and resources. Applied physics at UBC can be found in a wide range of different research groups. For instance, members of this image appears courtesy of the theory group are involved in the Pacific Institute for Mathematical Science, a network that gives area students the opportunity to work on practical problems of interest to local industries. 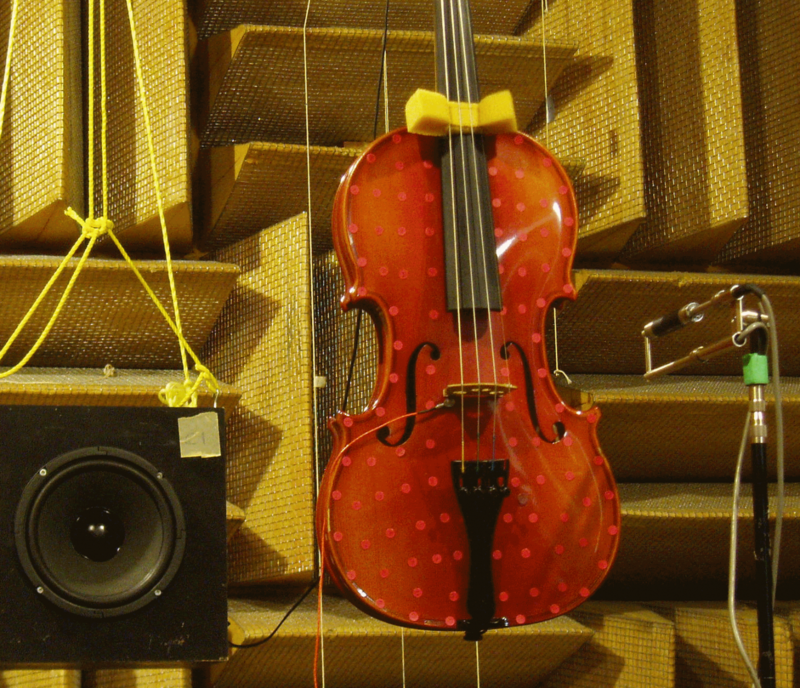 Musical acoustics research at UBC is focused on the properties of string instrument soundboxes. 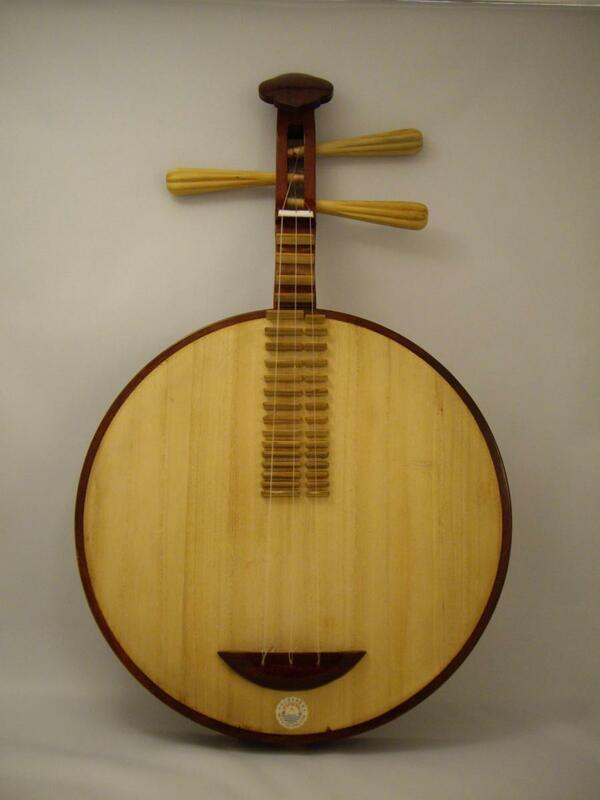 We specialize in harps, violins and a variety of East Asian instruments like the yueqin (pictured above). 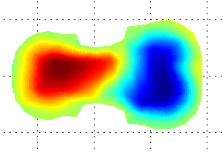 We do modal analysis, and have access to an excellent anechoic chamber for sound radiation measurements and (shortly) acoustic imaging.